DOHA, Qatar--(BUSINESS WIRE)--QNB Group intends to recommend to the Extraordinary General Assembly of the Bank, to approve increasing the percentage of non-Qatari ownership in the Company’s capital to 49% instead of 25% in accordance with the applicable provisions of Law No. 9 of 2014 regulating the Investment of Non-Qatari Capital in the Economic Activity and subject to approval of the concerned regulators. An Extraordinary General Assembly will be convened to present and approve the proposed amendment to QNB’s Articles’ of Association by adding an agenda item in respect of the above after securing the appropriate regulatory approvals of the proposed amendment. QNB Group will disclose the date and venue of the Extraordinary General Assembly in due course. 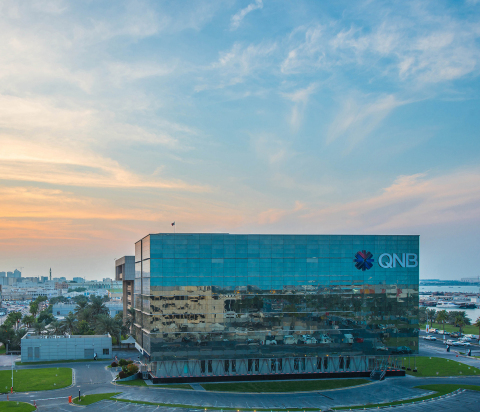 QNB Group’s presence through its subsidiaries and associate companies extends to more than 31 countries across three continents providing a comprehensive range of advanced products and services. The total number of employees exceeds 28,200 operating through more than 1,230 locations, with an ATM network of more than 4,300 machines.